A Place That Cares For You, Too. As an Elderwood staff member, you’ll have all the tools, training and resources you need to succeed. 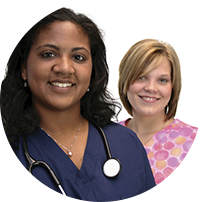 With many locations and multiple levels of care, we offer a variety of positions and plenty of opportunities for growth and advancement. Scholarships, tuition assistance programs and competitive pay and benefits make Elderwood a great place to work. Is Elderwood A Great Place to Work? We sure think so, but you don’t have to take our word for it! Check out this recent article in The Buffalo News. Do you have what it takes to be part of a great team? We invite you to spend some time to learn more about the great opportunities across all of our facilities! 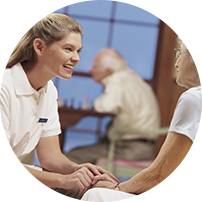 Starting with one skilled nursing facility in 1978, we now have 10 locations offering skilled nursing, five providing assisted living, and two unique independent living communities in Western and Central New York. 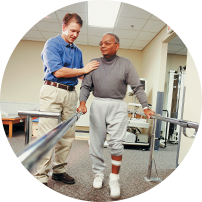 Some Elderwood locations offer comprehensive rehabilitation and specialty subacute programs including cardiac rehabilitation, respiratory care and pulmonary rehabilitation. Most of our skilled nursing facilities have met the rigorous standards required to earn a Quality Award from the American Health Care Association, the most prestigious honor in long-term care. Throughout the company, we continually challenge ourselves to improve. We are committed to helping our team members improve their skills and remain current with new equipment and technology. In our state-of-the-art training facility, our dedicated instructors conduct ongoing programs in clinical skills, management, regulations and computers. 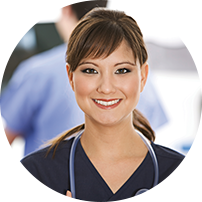 We enthusiastically support staff members with the drive and desire to advance their health care career. Through scholarship and tuition assistance programs, Elderwood helps staff members pay for higher education and gives them the opportunity to advance in their career. Elderwood offers an excellent benefits package, including health and dental coverage, paid vacations and holidays, an Employee Assistance Program and more.